Dan Sommers is an internationally recognized consultant in quality management and engineering, Six Sigma, and industrial statistics. 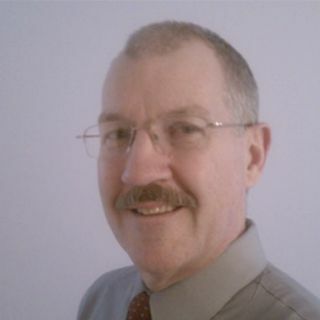 Dan J. Sommers, Founder and Chief Qualistician of The Quality Innovation Institute, is an internationally recognized hands-on consultant in quality management and quality engineering, the Six Sigma methodology (DMAIC and DFSS), and industrial statistics. Dan has led Six Sigma, Design for Six Sigma, Lean, Continual Improvement, and Quality Improvement initiatives around the globe for prominent companies including General Electric Lighting, Sherwin-Williams, DuPont, Inc., United Health Care, Textron, Inc., Ford Motor Co., Noranda Mining, ITCLimited, Cypress Technology, Nypro Products, Channel Products, and Technoform Products. His areas of expertise include Six Sigma (DMAIC), Design for Six Sigma, Lean Principles, Process Troubleshooting, Quality Systems Design, Quality Improvement, Statistical Process Control, Design of Experiments, Reliability Engineering, Reliability Analysis, Acceptance Sampling, Statistical Analysis, Industrial Statistics, Industrial Engineering, and Team Work Groups. Prior to establishing The Quality Innovation Institute, now in its sixteenth year, Dan led improvement efforts for over 20 years at GE Lighting, headquartered at Nela Park, Cleveland, OH. While there, Dan held positions of Six Sigma Master Black Belt, Six Sigma Black Belt, quality manager, quality engineer, reliability engineer, and applied statistician. He was mentored by Dr. Edward G. Schilling, international quality expert, creator of the Rochester Institute of Technology’s Graduate Statistics Program. Dr. Schilling was a student of quality pioneers Harold F. Dodge and Ellis R. Ott. While at GE Lighting, Dan applied these principles directly on the shop floor. He has published articles in ASQ’s Journal of Quality Technology and was awarded ASQ’s Brumbaugh Award, which cites a paper he authored as the largest single contribution to the development of industrial applications of quality control. He is also a chapter co-author in the Juran Quality Control Handbook, fourth edition.